Air Arabia is the Middle East’s and North Africa’s largest and first low-cost carrier. It connects you to approximately 50 countries and over 150 destinations. If you want to explore places in the Middle East, Europe, Asia, and North Africa, then Air Arabia should be your ultimate travel partner. Comfort, affordability, excellent customer support, and impeccable travel services are the main pillars of Air Arabia. It also offers multiple ways through which you can earn different rewards and save money. This airline knows how to surprise its customers with unexpected rewards. It runs a loyalty program that provides extra benefits on both air and ground. The program is based on an “earn and redeem” scheme. It is relatively simple, and people can easily earn points that can be redeemed later. You can get an instant discount if you pay online using the Mashreq Air Arabia credit card. It should be a platinum card of Mashreq to avail a 5% discount. 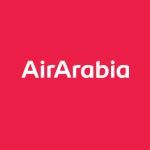 If you don’t have it, then you can use the newest Air Arabia discount code. Packages usually cost a bit less than the individual booking cost. Air Arabia offers different holiday packages that are suited for different travelers needs. The Air Arabia promo code can be used here to make the trip more budget-friendly. If you plan to travel soon, then take advantage of the programs and offers by Air Arabia. The airlines will take care of both your comfort and savings. We have 10 Air Arabia deals for you to choose from including 1 coupon codes, 9 Offer. Air Arabia is one of the biggest low-cost airlines in the Middle East and North Africa. It was established in February 2003 and launched its operations in October 2003. Air Arabia flies to 101 destinations across Middle East, North Africa, Europe and central Asia with a world’s best commercial jetliner Airbus A320. Its main hub is Sharjah international airport and Ras Al Khaimah airport. It is listed in Dubai financial market and according to final year report of 2014; its revenue is 3.7 billion. The airline has won various awards over the years and its latest one is "Best Low-cost Airline serving the Middle East" from Business Traveler Awards 2016. Air Arabia offers flight tickets, cheap flights, hotel booking, and car hire. It also provides visa service to its passengers.